The 4 puck locations are really the strap down points that are used when shipping by car transport or train transport. Putting a puck on that location prevents the operator of the lift from crushing the fibreglass that wraps around the bottom of the door area. 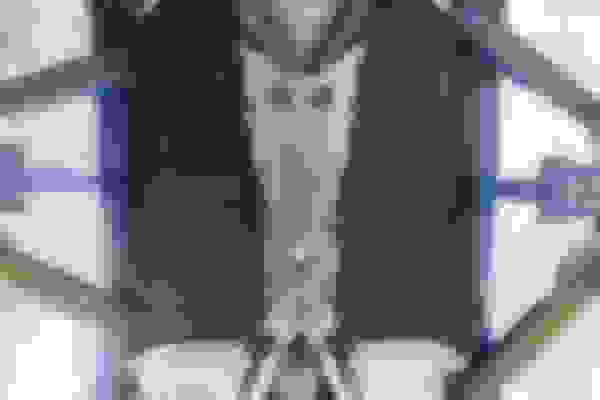 Last edited by 2DLIMIT; 01-04-2016 at 08:24 AM. If the car is pulled onto a flat bed, where should the straps be attached? Probably the same way that they are strapped down when shipping from the GM factory via Truck transport. Where should the operator attach the straps to pull the car onto the flat bed? If at all.... the people to ask would be the transport company you are using. A 3/8" S hook on a strap fits quite nicely. 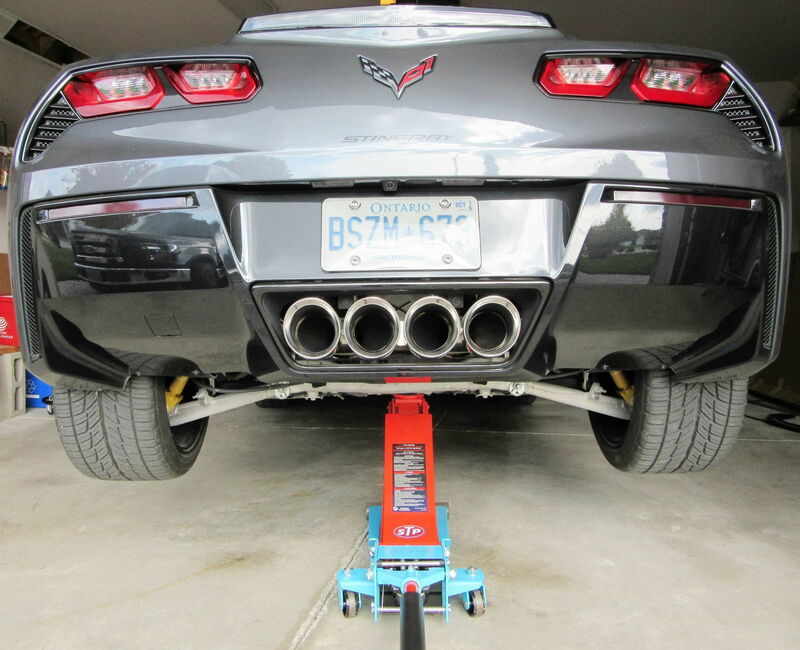 Sorry I missed your question.... you are asking about Towing a corvette on a flatbed towing platform! not a flatbed train or truck trailer? 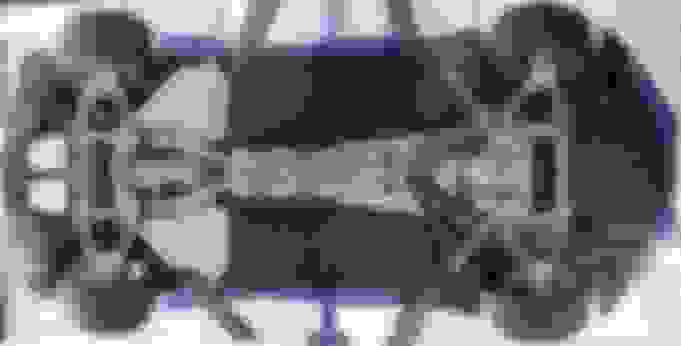 Last edited by 2DLIMIT; 01-04-2016 at 09:39 AM. 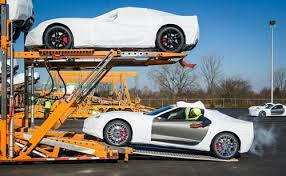 If I am stranded on the highway and call a flatbed to pick up the C7 and am unable to drive the car onto the flatbed. Where should the operator hook the chain or strap onto the car to winch it up the ramp onto the flatbed? And should it be pulled from the back or front? If you will take the time to read the link I posted above and here, you will have your answer and photos as well. 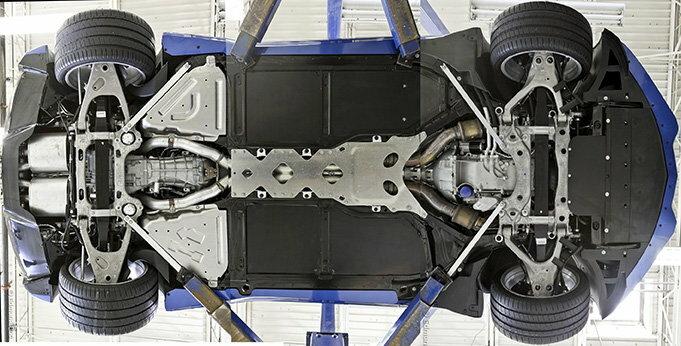 This is the underside of a c7. Although the lifts in this picture are in weird positions, you can see how the blue rocker panel wraps under the car. A jack puck installs in the holes you see on the right side in the picture and prevents a standard lift from contacting the rocker and potentially cracking it. Some lifts have a pin that goes into the hole on the frame, some just have pads, like a lot of two post lifts you'd find at any servicer, or a home low profile jack. Buying jack pucks is cheap insurance in case you bring it somewhere that doesn't have them, you can provide them, or buy the leave in pucks. I bought the aluminum type you install and forget about them. You can just get the less expensive ones that work well too. If your dealership is competent you shouldn't have to worry about it, but like I said, it's cheap insurance. Thanks!! I get it now!! Definitely going to invest in these. Last edited by Jet Vet; 01-04-2016 at 09:06 PM. Tell your friend Theta that he is welcome to use my illustration with his presentation. I will even modify or fine tune to his taste, if he wants something changed. Just tell me what you want. Last edited by HANNY; 01-05-2016 at 01:23 AM. He's not a personal friend and I don't communicate with him directly, I just learned early on that those How-To sticky threads are very helpful, as is your post. Every worthwhile addition helps, and yours may well find its way into the permanent file. Nice work, and btw, I'm a huge Wallace & Gromit fan. Last edited by Jet Vet; 01-05-2016 at 01:25 AM. 1. Drive up on DIY ramps similar to those in this photo. 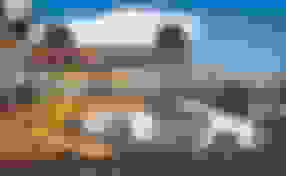 Using a low-profile jack makes the ramps unnecessary, but you can do some things with the ramps without using a jack, and even if you do it just makes the underside of the car more accessible. 2. 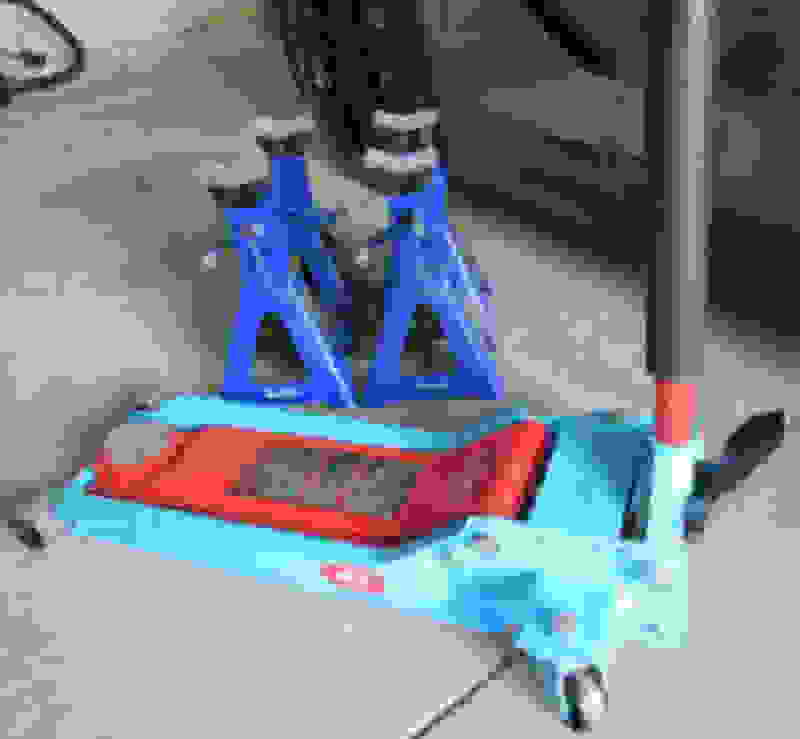 Jack up the desired corner (blue points in the OP's second illustration) using a low-profile jack like this one with pad and stay-in pucks from Southern Car Parts. It never occurred to me that the pucks might split or crack, but after 2.5 years on my C6 and then my C7 they show no signs of problems. Using the pad on the floor jack might help in this regard and I don't jack my car very high anyway--just enough to crawl under it allowing decent arm movement. 3. For safety, insert a jack stand with pad or block of wood at the "preferred location" (red). Never trust a jack alone to hold the car up while you're under it! If I want to jack up both corners of one end I simply move the floor jack and another jack stand to the other side and repeat, leaving the first jack stand in the original location. You can jack the entire car up very quickly this way if you have four jack stands. I tried the Harbor Freight crossbeam, but it is too wide for use on the front. It could be fabricated to work, but IMO it is unnecessary. Last edited by iclick; 01-05-2016 at 02:32 PM. Since my lift has long arms I will need to lift from the locations shown at the bottom of photo. Looks like you can make a pad that contacts the frame at those locations. Go to post #6 on page 1 to see a diagram of those locations. Your diagram is very nice, but it doesn't show the locations I am talking about. I am referring to the Edmunds photo above where they are lifting on the drivers side of the car. Which in your diagram would be where the ends of the blue bars attach to the frame. 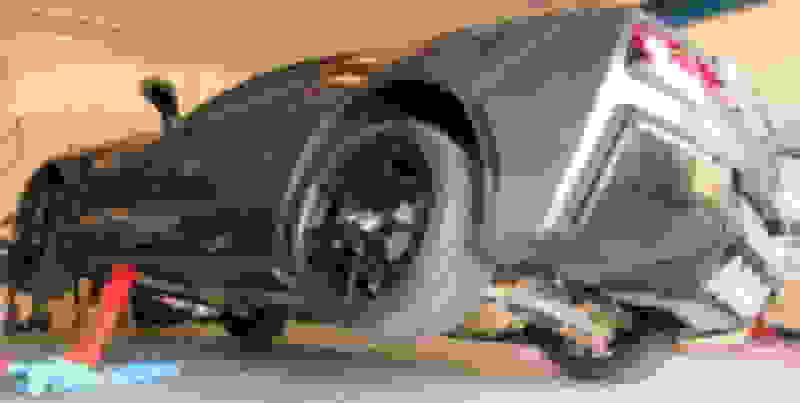 Last edited by C7Jake; 09-28-2016 at 08:59 PM. I keep a Chevy tow hook on top of the battery for that purpose.